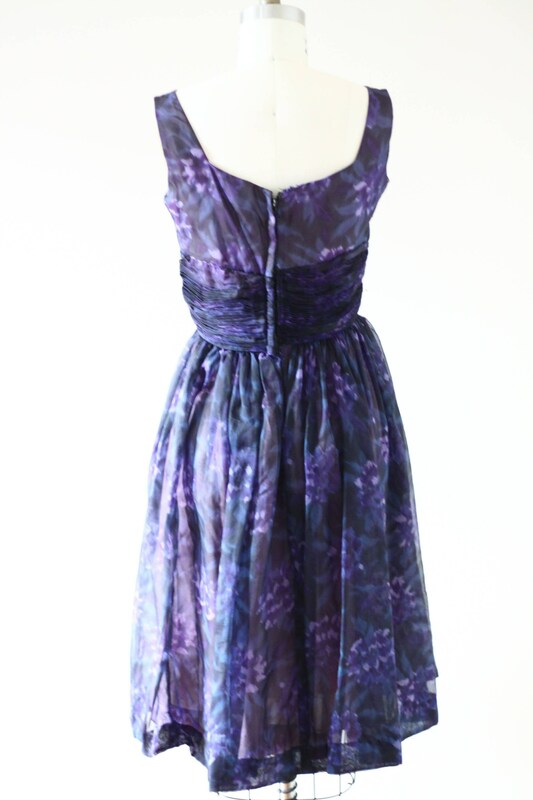 Beautiful 1960s silk blend cocktail dress. 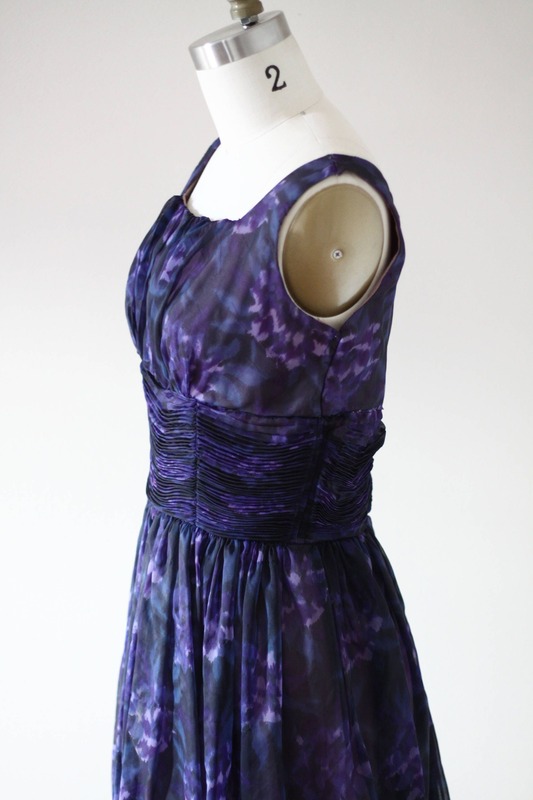 Dark purple and blue floral designs throughout the dress. 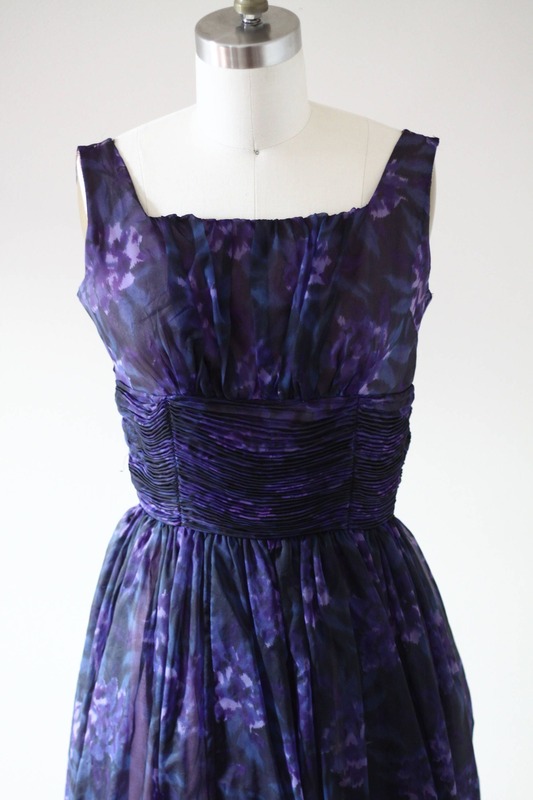 Ruching around the waistline gives a very definite shape to the dress. 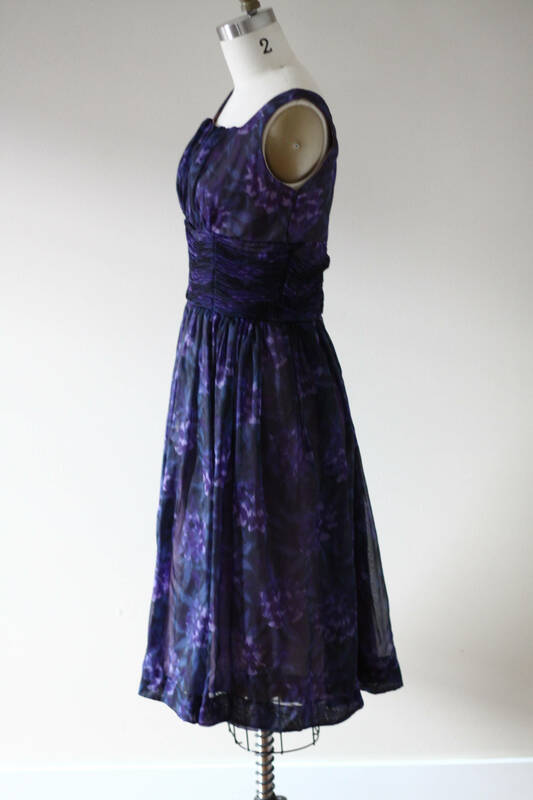 Large straps and a very flowy skirt running out from the main part of the dress. 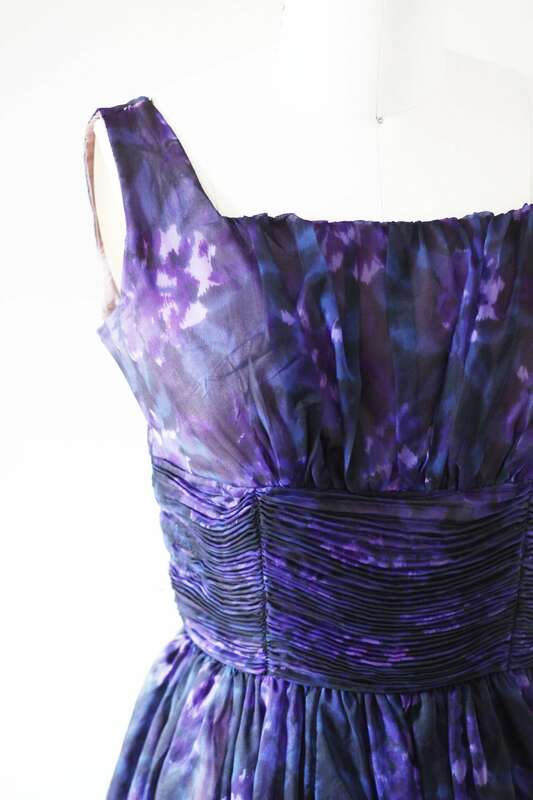 There are a few flaws and a repair so please read the condition description. 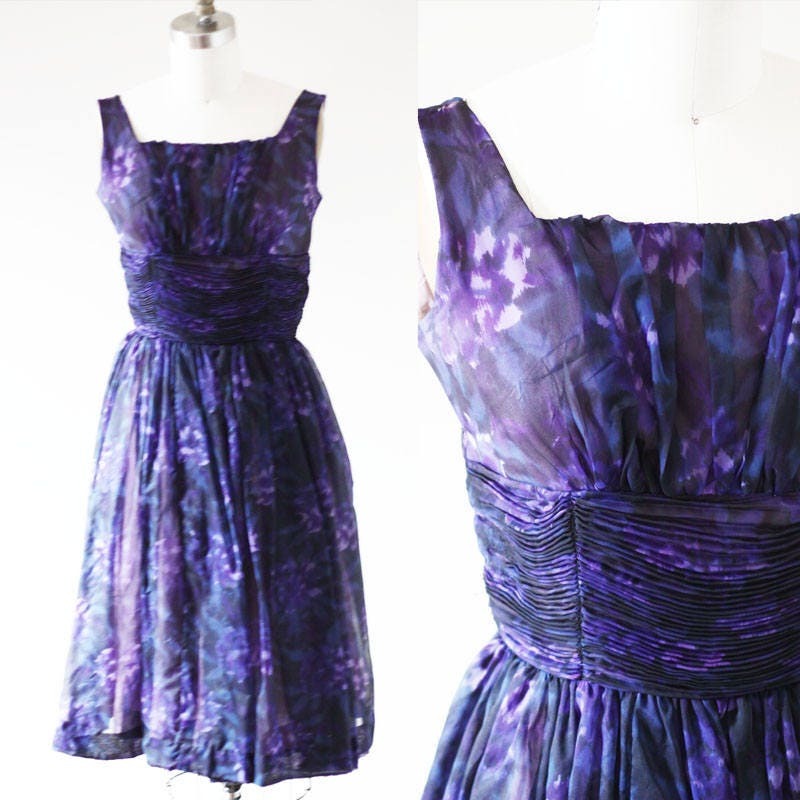 This dress is very wearable and in okay vintage condition. 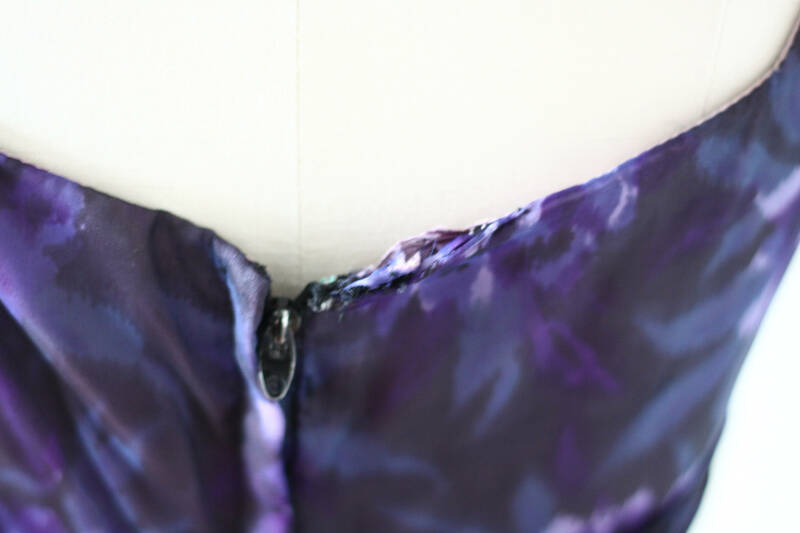 One patch repair on the side of the bodice (second picture). 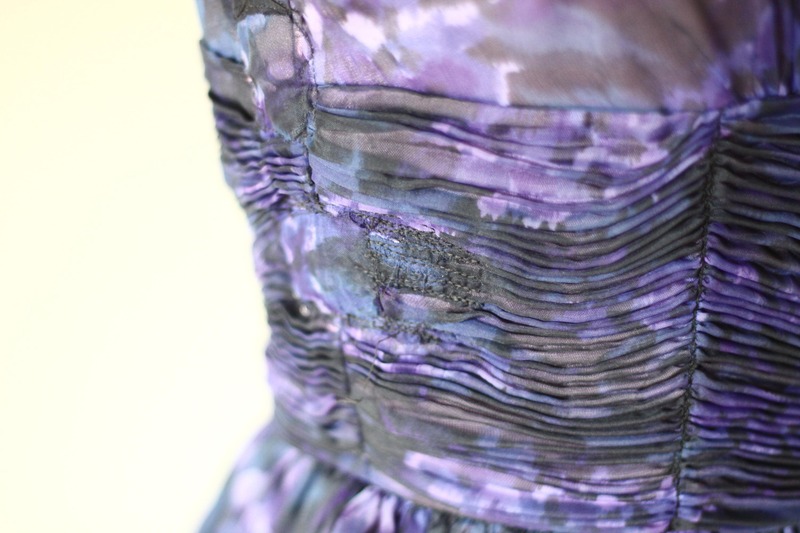 A small spot of seam loosening around the back of the dress (Seventh picture). Price has been adjusted to reflect this. Please message me before purchasing if you have any other questions or concerns.